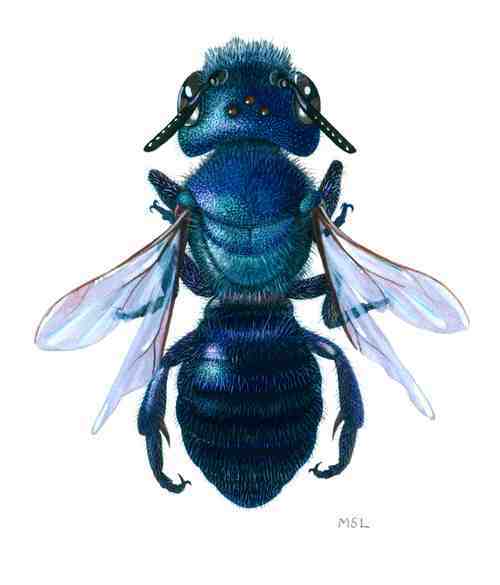 “Native Blue Bee”, by Mattias Lanas. 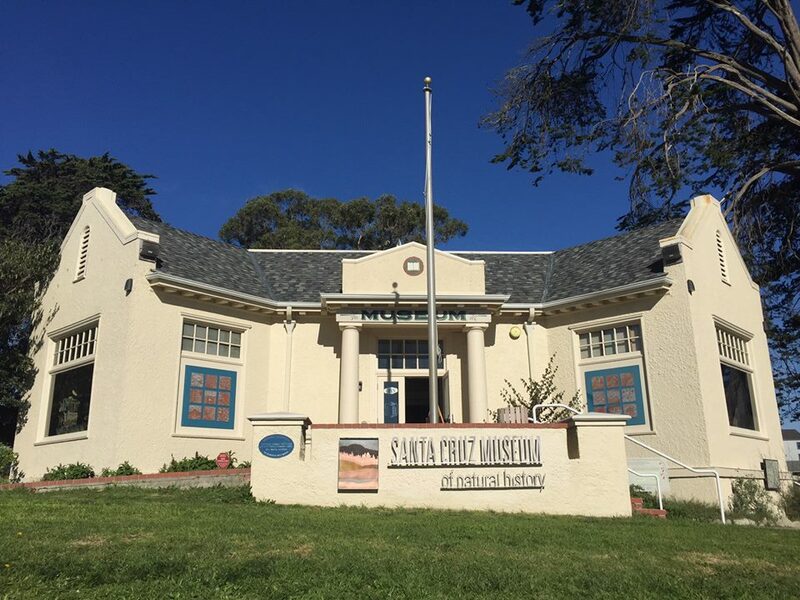 The Santa Cruz Museum of Natural History (SCMNH) may be the oldest public museum in town, but for over 100 years it has continued to be a renowned landmark and leader in engaging people with the vibrant nature of this region and beyond. 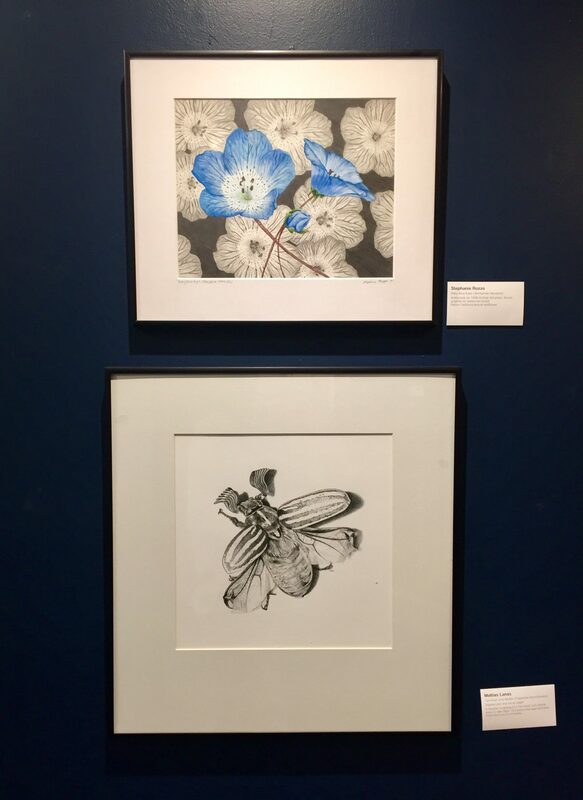 “Baby Blue Eyes”, by Stephanie Rozzo; “Ten-lined June Beetle”, by Mattais Lanas. Every spring, the SCMNH spotlights California’s diverse plants, animals and landscapes through an annual exhibit, The Art of Nature. In 2017, the highly anticipated exhibit is celebrating its 29th year with a fascinating display of scientific illustrations. 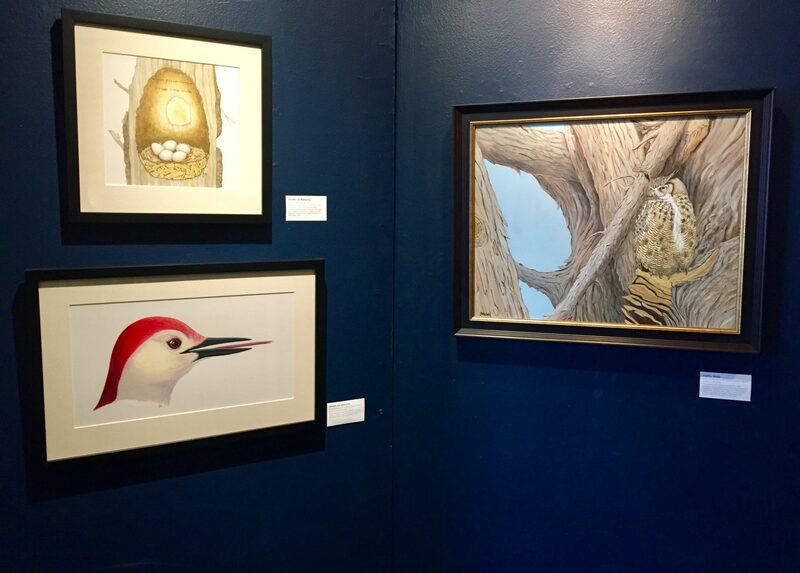 The Art of Nature features work by 20 professional artists from Santa Cruz, Monterey, and the San Francisco Bay Area, and merges the ever-evolving worlds of art and science. The exhibit showcases a variety of media that bring to life a wide array of subjects from the natural world, including insects, birds, mammals, microorganisms, flora, fauna, and landscapes. 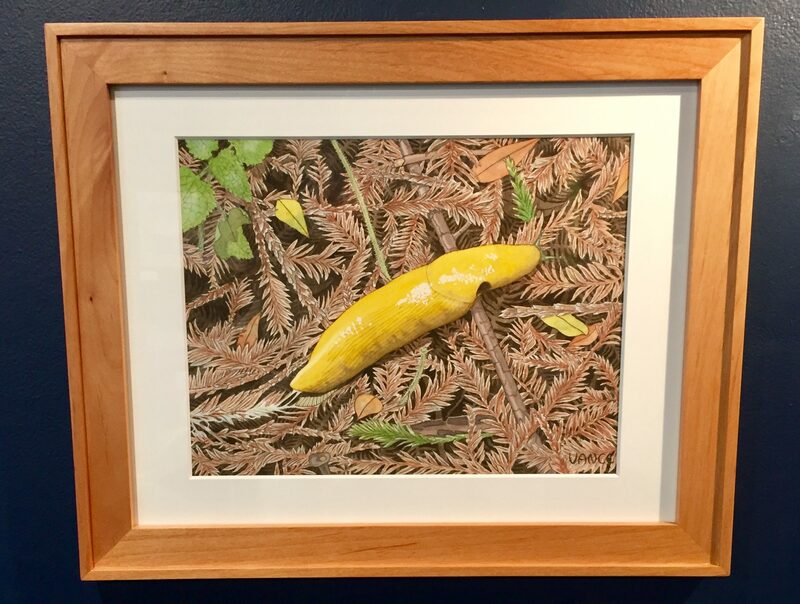 “Banana Slug”, by Vancy Lawry. Since the SCMNH was founded in the early 1900s, it has cultivated further awareness of local wildlife and ecosystems, and appreciation for conservation efforts through community-oriented events. The Art of Nature exemplifies this ongoing dedication by promoting the talent of local artists as much as the magnificent natural life unique to the California Coast. Curated for the past six years by the SCMNH Visitor Services Manager, Liz Broughton, the exhibit features artwork in watercolor, acrylic, digital painting, pen, and ink. The submissions were gathered in collaboration with the California Guild of Natural Science Illustrators. Each piece reflects careful scientific observation, as well as phenomenal artistic skills in replicating miniscule details, exotic colors, and unusual creatures. To further connect visitors of all ages to nature, the Museum offers educational programs that compliment the permanent and temporary exhibits. Guests are welcomed to draw specimens on hand at the Museum’s Illustration Station, and during the next two First Friday Art Tours, the SCMNH will be hosting three of the current exhibit’s participating artists. Visitors will have the opportunity to meet the artists and watch them in action as they demonstrate the inspiring creative process of scientific illustration. 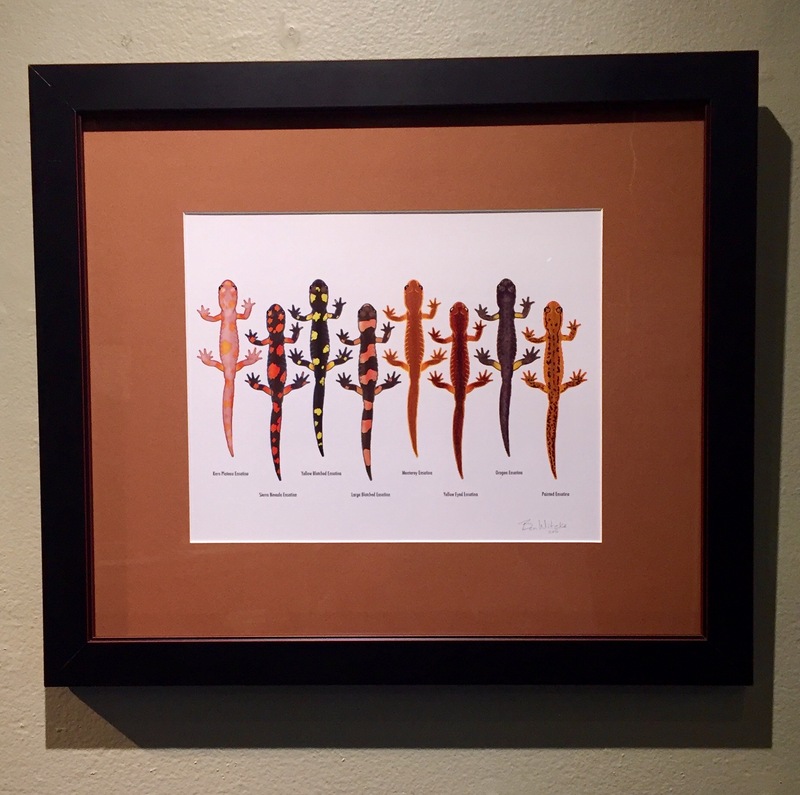 “Ensatina Salamanders”, by Ben Witzke. Krista Anandakuttan, G. Lee Boerger, Sondra Cohelan, Maria Cecilia Freeman, Megan Gnekow, Jaye Hays, Erin E. Hunter, Martha Iserman, Monica Jurik, Molly Keller, Mattias Lanas, Vance Lawry, Calene Luczo, Glenda Lee Mahoney, Elizabeth Romanini, Stephanie Rozzo, Anne Scott-Chambers, Emily Underwood, Sophie Webb and Ben Witzke. Visit santacruzmuseum.org to learn more about exhibits, events, and educational programs.